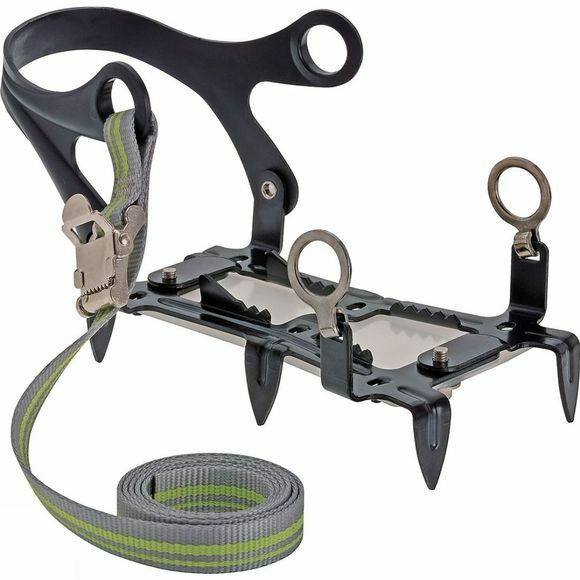 Edelrid's 6 Point Crampon is perfect for slipping on when you are walking on frozen or icy ground. The 6 points give great grip, and the size can be adjusted to keep the crampon tight to your foot. Handily the adjustment can be done using a coin, while a storage bag is included to keep your crampons safely stowed away.